Didn’t take long for CNN to throw him under the bus. He hasn’t yet been charged or arrested. 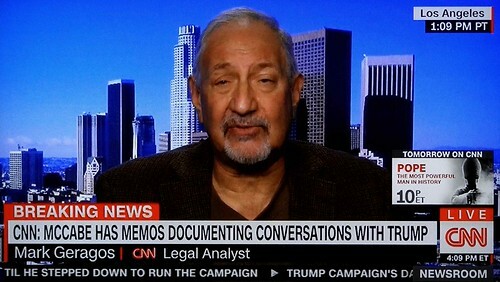 Geragos, 61, the alleged co-conspirator in the criminal case against celebrity lawyer Michael Avenatti made hundreds of appearances on CNN while working for the news organization. His firing was so hasty that CNN had not had a chance to update its website and still had him listed as a “legal analyst”. He has made numerous appearances on CNN, frequently discussing the notable and often polarizing figures he represents. He is currently representing Jussie Smollett, who is accused of faking a hate crime for his own benefit.